The first 30 days of Twitter. Whether you have a twitter account or not, have never written a tweet or tweeted thousands of times, please take a few minutes to read this. For those unfamiliar with Twitter, you can get a better idea of what it’s about and what it can offer you. For those who are more experienced, you might relate to some of the challenges I am going through, and you might be able to offer more detailed advice by leaving suggested blogs in the comment section. The first thing I learned was… just because I was tweeting, didn’t mean anyone was reading it. You gotta have followers. To get followers, you need to start following others. I started with the handful of people I personally knew on twitter. I looked at who their followers were, and then clicked on their profiles and read their blogs(if they had one). If someone listed Mom or Exercise or Entrepreneur somewhere in the profile, I usually hit follow. It’s always nice if someone reciprocates but that doesn’t always happen. For instance, the gal who said “follow me and I’ll follow you” in her profile never followed me back. Oh well. More on Twitter Snubs later. I started following about 60 people in the first few days. Through these people I was introduced to more tweeters and bloggers who shared common interests or experiences. They also helped me identify some mentors. When you first start twitter, it’s like you are a tourist in a foreign land who doesn’t speak the language and forgot her GPS at home. 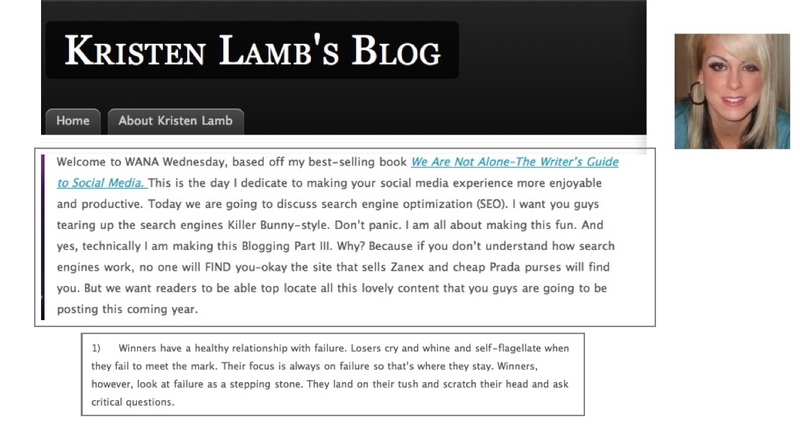 Then I found Kristen Lamb’s Blog which helped me start navigating the land of twitter, blogging and social media. Here is a tiny sample of what she can offer you. 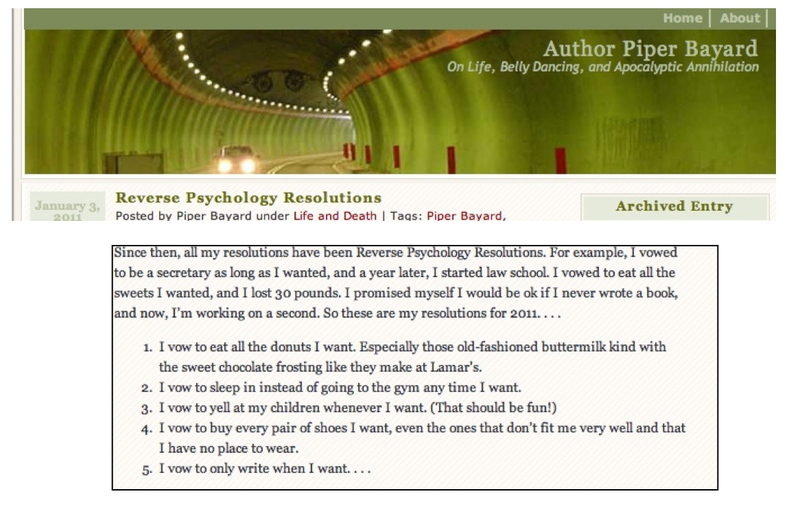 And through a twitter recommendation by Kristin, I got hooked on Piper Bayard’s Blog. She has a great sense of humor and has ways of introducing thoughts and pictures that are super creative, funny and very thought-provoking. Yesterday, I found out Piper and I actually wrote about the same topic.. January at the Gym.. and to be honest, I would recommend her version over mine. Here is a sample, but if you get a chance, try to read the whole thing. The flip side of reading more blogs and getting more familiar with what’s out there is you realize a lot of these blogs are really, really creative and informative. And a lot of these authors are very accomplished with huge followings. You read their bios and it’s hard not to want to throw yourself a pity party. Or maybe it’s just the PMS kicking in. Check out Erica Diamond’s “Women on the Fence”. She’s created an empire. She’s a super woman, a super mom. Her whole bio didn’t even fit in one print screen. So I had a revelation last night. How I feel about Twitter, probably isn’t that much different from how all of the resolution setters feel at the gym in January. Both the gym and twitter are intimidating when you are new. For the new gym goers, you look around and see all of these fit people. They’re saying “hi” to everyone as they walk by. And they look so comfortable going 7 miles an hour on the treadmill, while you are sucking wind after five minutes going 3.5 miles an hour. Not only that, when you are new to a gym, you are cautious and maybe unsure about how all of the machines work. I think maybe I understand better now why so many people throw in the towel. You gotta get out of your comfort zone. That’s hard enough as it is. Then, you look at how far you have to go to feel like you’ve gotten anywhere, and there are moments you ask yourself “Is this for me?”. But that’s where The Daily Love and all of the positive Twitter feeds come in handy. I told my friend, who just lost her job, to sign up for twitter just so she could read these. Having spent 30 days on Twitter, I now understand why there are so many of these inspirational feeds and why so many people retweet these messages. You need them. It’s easy to feel like an outsider on Twitter. The people with thousands of followers can Tweet that they sneezed or their kid sneezed and 80 people will respond. I ask direct questions and I am lucky to get a response. I am beginning to think #drunktweets are a good idea because maybe then I won’t feel so inhibited. Right now, I am still a little nervous about every tweet. This week I actually had a day where I lost 4 followers. I am laughing about it now but believe it or not, I lost sleep over it. You start second guessing yourself. Am I crazy? Or have others felt like that? All in all, I would say the experience so far has been a little disheartening, yet enlightening. I’ll be the first to admit that I’m a little insecure about my abilities and exactly what I should and shouldn’t be sharing. It’s almost like I wish someone could hold my hand, guide me and reassure me through the process. I am proud to say, I am up to 91 followers. I am, slowly but surely, feeling more comfortable commenting on others blogs, another proven tool for getting twitter followers. I got at least a handful of followers from a friend of a friend who listed me as a fav on twitter. She has been so supportive from the very beginning. 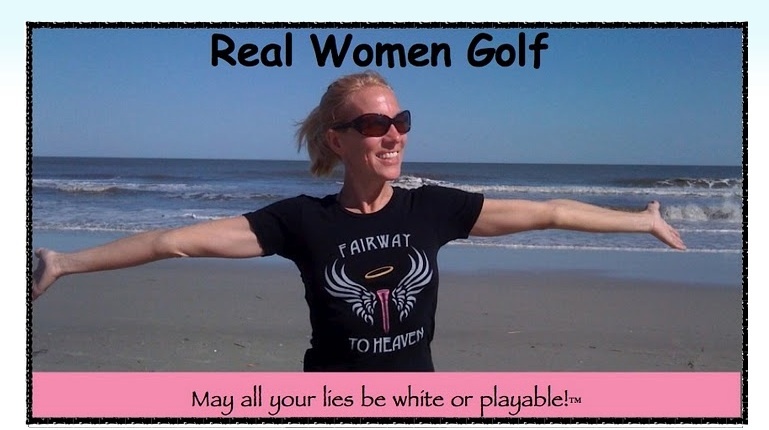 Please check out Real Women Golf by Heather Jones. What you will find on twitter and blogs, is that people recommend each other. There’s #FF or Follow Friday where you suggest people to follow and hope others suggest you. People pitch other people’s blogs all the time. Somehow you have to break into these circles and get noticed. So how do you do that? You need to appeal to a wider audience than just your friends and family. You need to touch on topics that resonate with people or offer advice or tips. Or if you are funny or outrageous, that might be enough. Right now, I still feel like the one who shows up to dinner party uninvited. The key is, I need to keep showing up. I need to remind myself, if I don’t come to the party, there’s no chance. But by showing up and listening, maybe speaking even just once in a while, I’m creating an opportunity. And I am not going to give up. I am going to continue to soak up and learn everything I can from others, including all of the amazing ladies I have mentioned above. I am going to continue to tweet and blog in hopes that one day, if I am patient, something good is going to come out of it. Wow. *blushes* Thanks so much for the glowing shout out. You’re so right about how entering the world of social media is like entering a gym for the first time. It’s really scarey. I think I had a twitter account for two weeks before I ever sent or received a tweet. What an alien creature to a woman who hardly uses a cell phone! But now that I’m in it, it’s awesome, because I get to meet cool people like you. Really insightful capture of this unexpected fall out from joining the social media fray! Thanks Piper and Keenie Beanie. Twitter and blogging really are great tools for getting to know people all around the world. Technology is amazing. I can’t even imagine what lies ahead for social media.